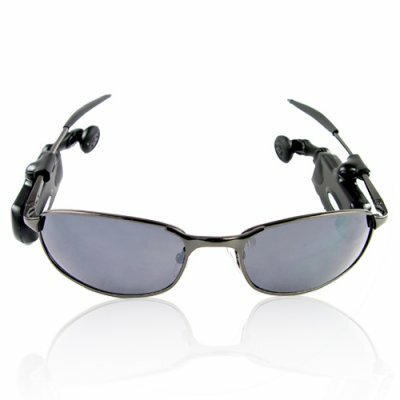 Successfully Added Bluetooth + 2GB MP3 Player Clip-On Attachments For Sunglasses to your Shopping Cart. Chinavasion exclusive glasses or sunglasses clip on attachments for getting both a 2GB MP3 player and a handsfree A2DP Bluetooth headset in one bundle for an super low wholesale price. With a pair of fashionable sunglasses already included, you can use either this, or your choose of almost any pair of glasses into a mobile communication and media center. Some excellent features include built in MICs in both attachments for both phone calls and audio recording, detachable 2.5mm earphones when you want to use the clip ons with standard earphones, high audio output, and much more. Get the best of 2 different technologies merged into one with this tech fashion statement..